You may have noticed that I took up spinning yarn. 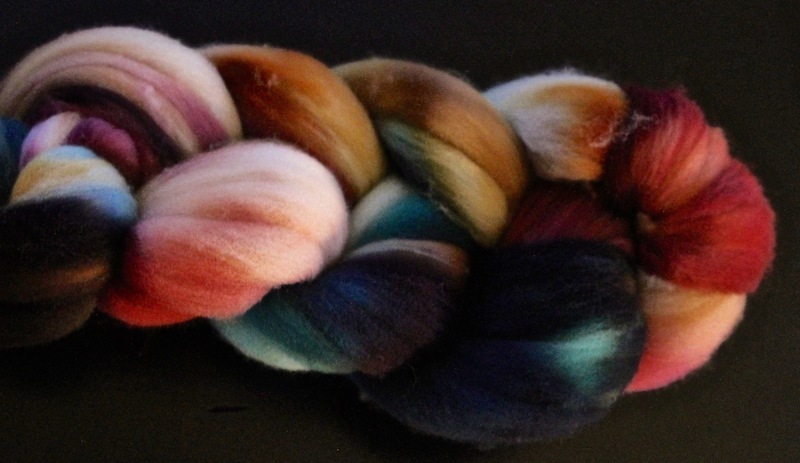 I have resisted another hobby ( and a fiber related hobby) for a long time. I think I have worn out the saying ” I do not need another hobby” I might even add to that last comment that I don’t need one that makes more yarn. I think it is a bit of a stretch to take on spinning yarn when you are trying to work through your stash. I am doing extremely good on the yarn stash busting but the new hobby has created kind of a stash enhancement. I was very skeptical of spinning. 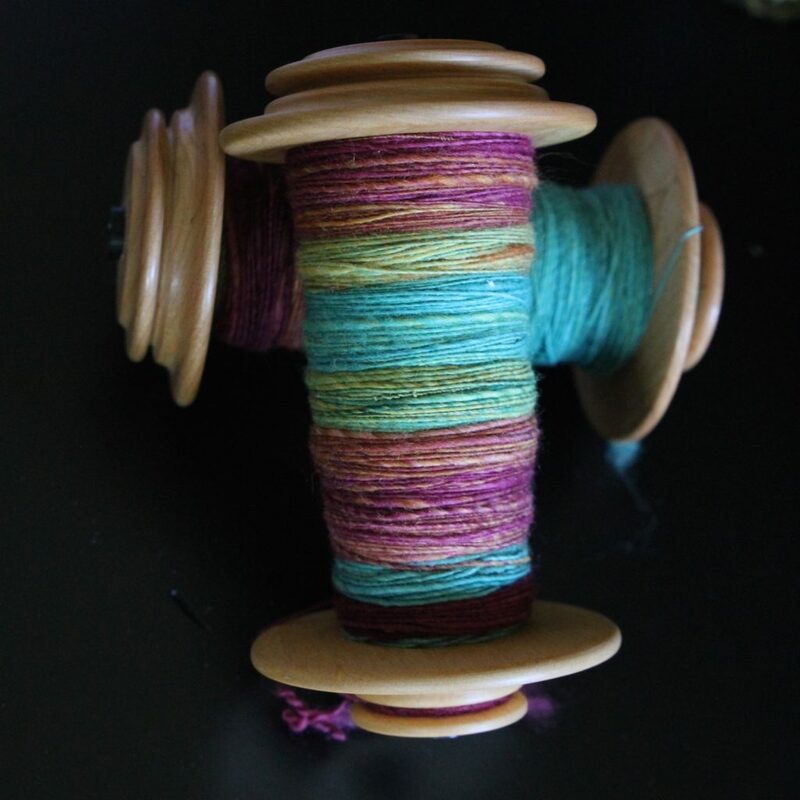 There is a Rarely friend that spins the most beautiful yarn and I keep seeing her pictures pop up on Instagram. I was very aware that she is an exceptional spinner and that my yarn would not look like that in appearence. 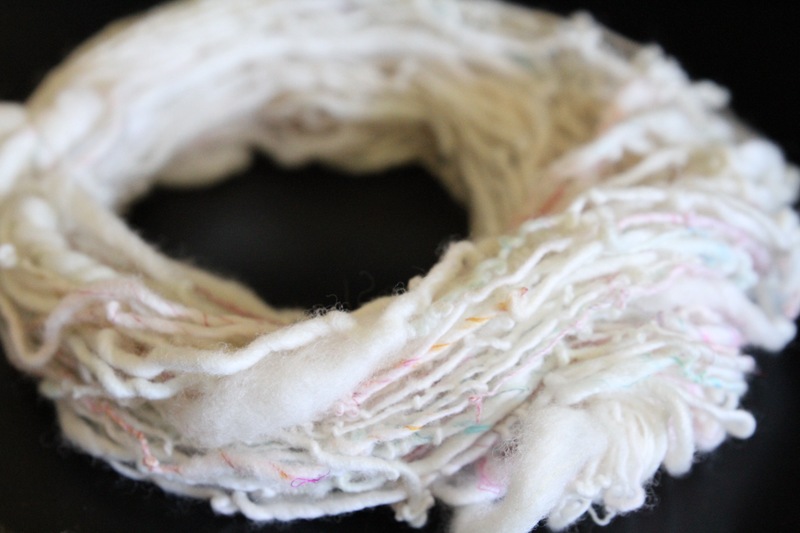 But when I saw the fiber she spins come up for sale online I was hooked… It didn’t matter that I did not have spinning wheel or that I did not know how to spin. An OAK in Falkland from Nest Fiber. Jennifer makes some truly beautiful stuff. What I have found though is a new form of mediation in spinning. It is quickly becoming one of my favorite things to do. Feeling fiber and have a very simple continuous motion is very relaxing and calming. It is different than knitting. I am not after a finished product ( in fact if it is not up to my standards I will probably want to toss it), but the hands on experience, unlike knitting there is no adjusting the stitches, flipping the work to purl, consulting the directions for the next steps… its just simple…treadle, pull fiber and let it twist…. I really love it… and I am having fun learning something completely new. One of the first singles I produced. < Previous Does this happen to you? You are brave to try a new thing I can keep up knitting. And I am not sure I can to hands and feet at same time.